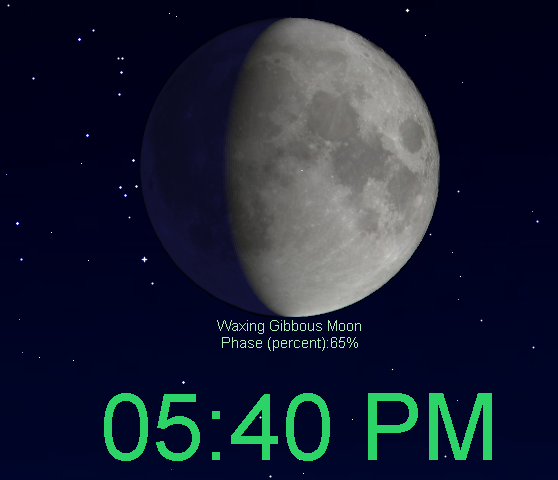 A digital clock functionality was added to the screensaver version 5.74. You can now see the current time in 24 or 12 hours format, include or exclude the seconds. You can additionally select the color of the digital clock display, and its movement speed. 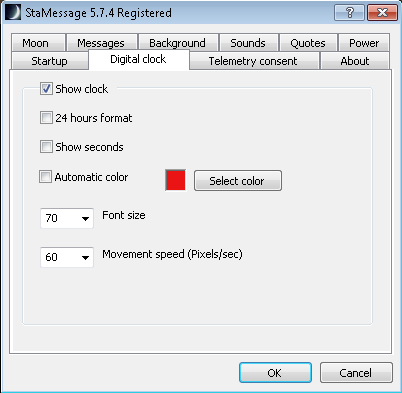 Together with the time, you will, of course, see all the other animations of the StarMessage screensaver. If you like to use a digital clock screensaver go and download the free edition from our download page. (no registration needed). 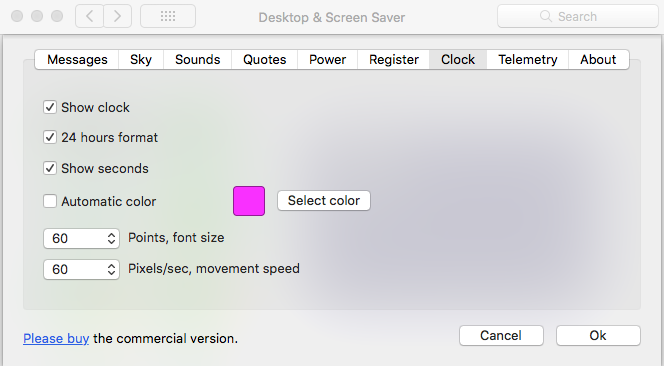 There is a Windows and an Apple Mac OS version of the screensaver. Like with every new release of the screensaver, your feedback is most welcome.